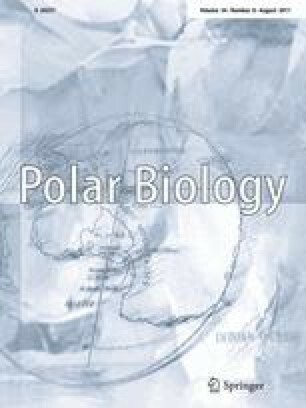 We have studied the seasonal dynamics of abundance and feeding characteristics of three species of calanoid copepods (Acartia spp., Centropages hamatus and Temora longicornis) in the White Sea from the surface water layer (0–10 m), in order to assess their role in the pelagic food web and to determine the major factors governing their population dynamics during the productive season. These species dominated in the upper water layer (0–10 m) from June through September, producing up to 3 generations per year. Data on the food spectra revealed all species to be omnivorous; but some inter- and intraspecific differences were observed. Generally, copepods consumed diatoms, dinoflagellates and microzooplankton. The omnivory index ‘UC’ (i.e., fatty acid unsaturation coefficient) varied from 0.2 to 0.6, which implied ingestion of phytoplankton. The different degree of selectivity on the same food items by the studied species was observed, and therefore, successful surviving strategy with minimal overlapping could be assumed. In total, the populations of the three studied copepod species grazed up to 2.15 g C m−2 day−1 and released up to 0.68 g C m−2 day−1 in faecal pellets. They consumed up to 50% of particulate organic carbon, or up to 85% of phytoplankton standing stock (in terms of Chl. a), and thus played a significant role in the transformation of particulate organic matter. Seasonal changes in abundance of the studied species depended mostly on water temperature in the early summer, but were also affected by food availability (Chl. a concentration) during the productive season. The DAAD (fellowship MBFOKU2001 No. A/2403), the Copernicus Foundation (grant No. ICA2-CT-2000-10053), Russian Foundation for Basic Researches (RFBR grants 08-04-01691-a, 08-04-98843-r-sever-a, 10-04-00316-a), Otto Schmidt Labor Fellowship (grants OSL-07-11 and OSL-09-16) and State Program No. 1201051247 supported our investigations. Data on the water temperature and Chl. a concentration in the 52nd cruise of RV ‘Ivan Petrov’ were kindly provided by Academician Alexander Lisitzin (P. P. Shirshov’s Oceanology Institute, RAS, Moscow). We are grateful to Prof. Victor Berger and our colleagues from the White Sea Biological Station and from the P. P. Shirshov’s Institute of Oceanology (Moscow) for their help and data courtesy, and to Prof. G. Kattner (AWI, Bremerhaven, Germany) and Dr. Janne Søreide (University Centre on Svalbard, UNIS, Longyearbyen, Norway) for useful advice. Special thanks go to Christiane Lorenzen and Helga Schwarz for their technical support of the elemental analysis at the Alfred-Wegener-Institute for Polar and Marine Research (AWI) in Bremerhaven. The authors are indebted to Dr. L. S. Barden and R. Alheit for helpful comments and linguistic improvement of the manuscript.